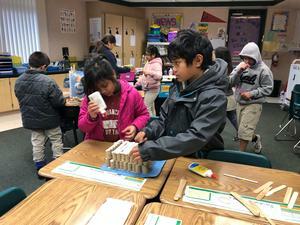 As a part of their Weather and Climate Unit, the 3rd graders took on roles as engineers to create hurricane-proof structures. Ms. Recendez gave her engineers a wide variety of materials to choose from. Students built large, two-story structures capable of withstanding hurricane forces. To simulate hurricane conditions, Ms. Recendez used a hair dryer and spray bottle. The engineers in E2 made their structures out of folders, corks, sticks, and other craft materials. For additional stability, they glued their structures to cardstock foundation. In Ms. Luttrell’s class, students chose their building materials from craft supplies, including sticks, straws, pipe cleaners, notecards, and string. 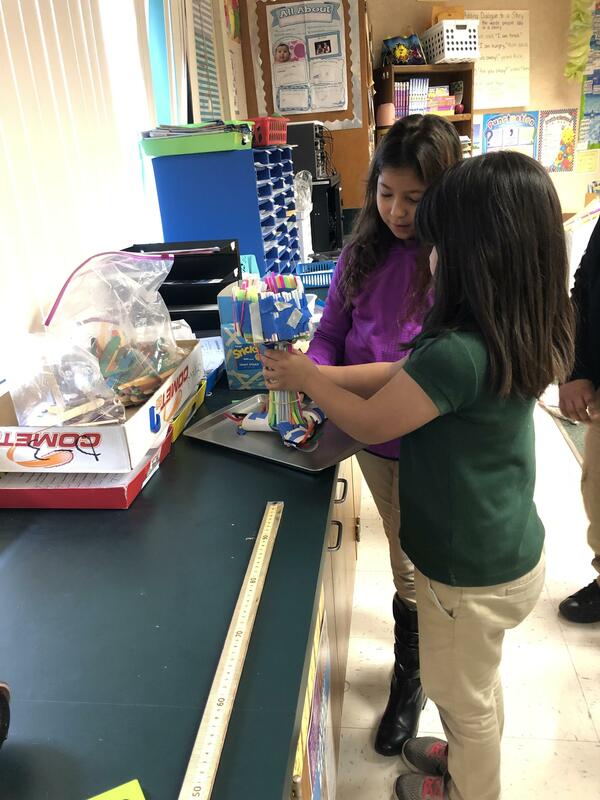 Their goal was to create a freestanding tower that could support a tennis ball under “hurricane” conditions, also simulated by a hair dryer and spray bottle. The success of their builds was determined by the height of their tower (in centimeters) multiplied by the amount of time it withstood hurricane forces. 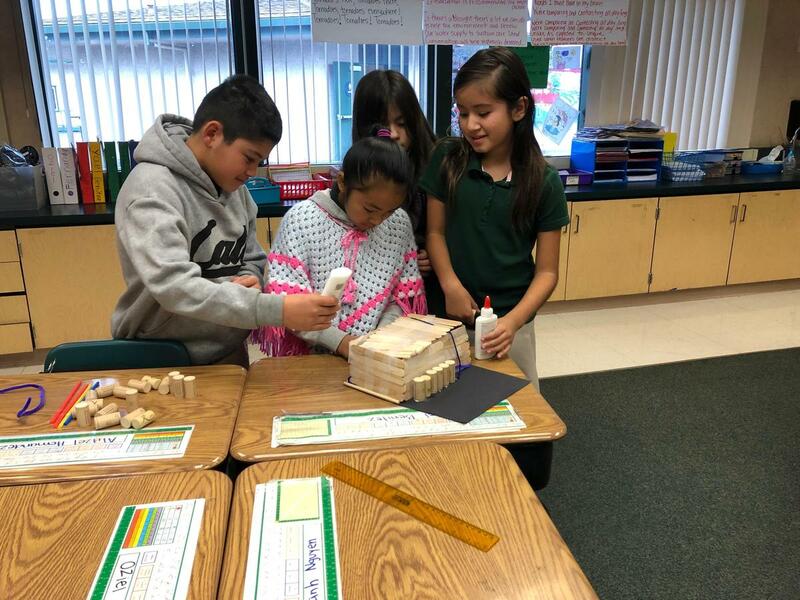 In each class, students studied images of preexisting towers and hurricane-proof structures. After their research, the engineers brainstormed designs in small groups. They then gathered materials and built their initial designs. 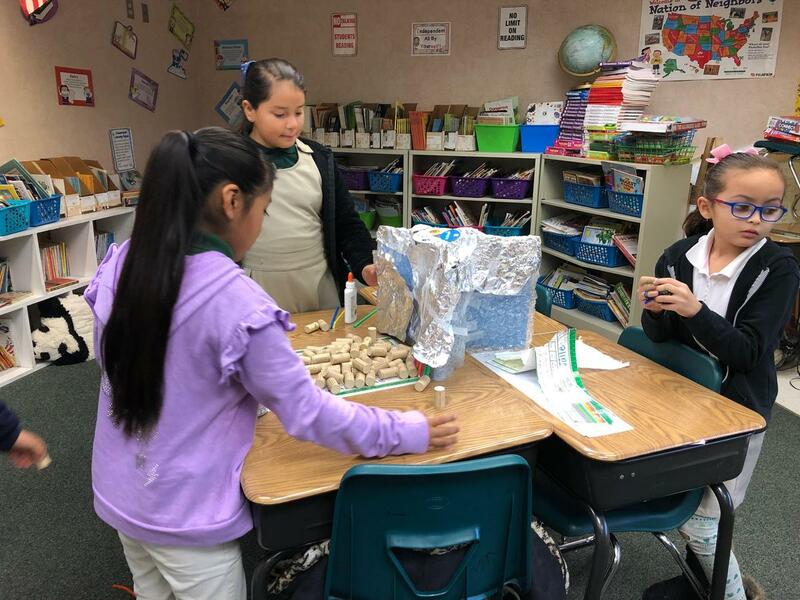 Next, the teams of engineers tested their structures against the power of the hair dryer, made observations, and planned improvements to their structures. Depending on how their towers fared, the engineers either tweaked their building plans or started over completely. 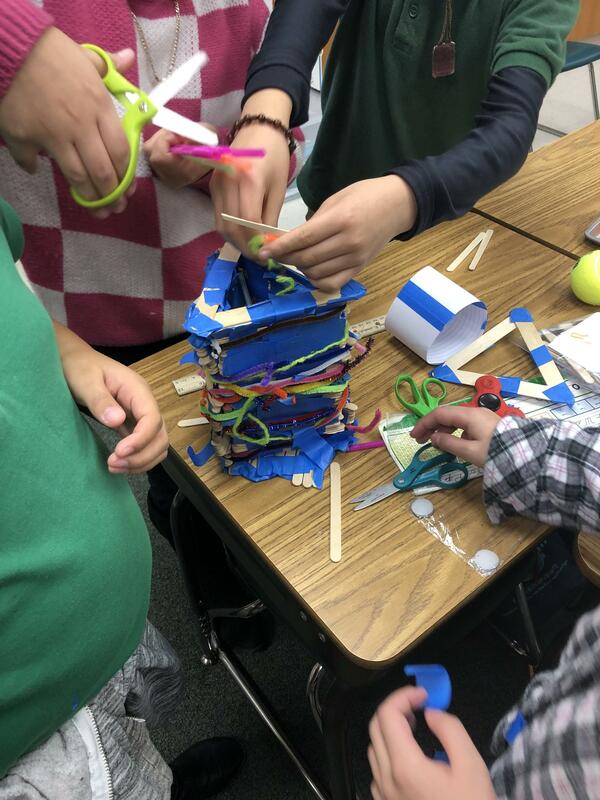 This opportunity to reflect and rebuild proved invaluable, as each group presented a taller, sturdier structure for the final round of testing. 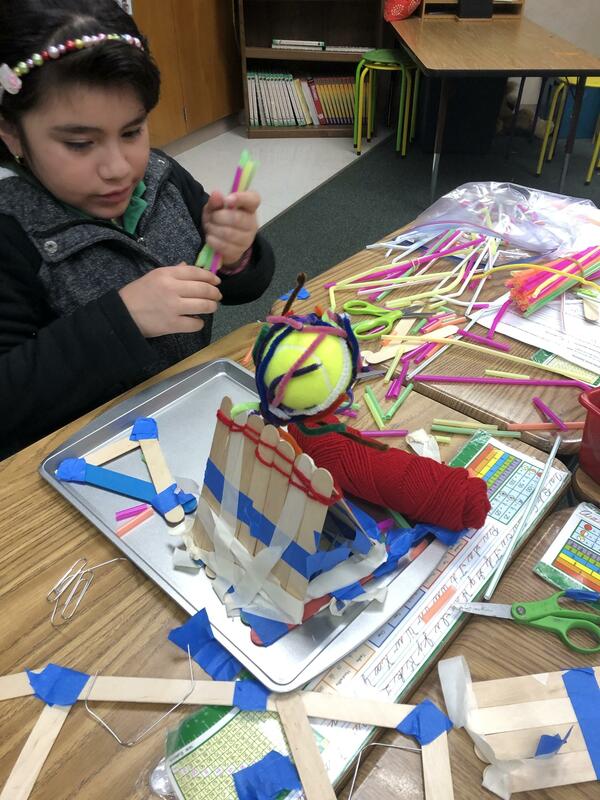 Congratulations to all of the young engineers in 3rd grade for all of their hard work!